The large electric fencing reel is used to store tape or rope when it is not in use. This has the advantage of keeping the tape neat and stopping it becoming a large knot! 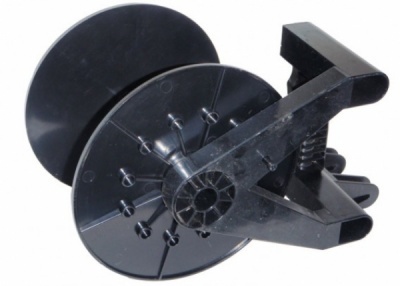 This reel is often used for strip grazing in irregularly shaped fields where you do not require all the tape in use all of the time.